There are a number of choices for minicab services in Belmont, but none will offer you the same comfort and efficiency that you’ll find with ClockTower Cars. 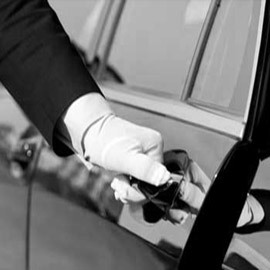 Our team of professional drivers are always on hand to help both local and business travellers, whether they need to get to the airport, arrive at a business meeting in style or simply see the sights of the village. Belmont is a village at the southern end of the town of Sutton. With two local nature reserves, it is often an attractive option for tourists and residents of London who are seeking a quiet getaway. Even if you have a tight schedule to meet, we can give you peace of mind by working to your schedule. If it’s an airport transfer that you’re looking for, our drivers will stay up to date with the latest air traffic so that they know when you’re due to arrive. 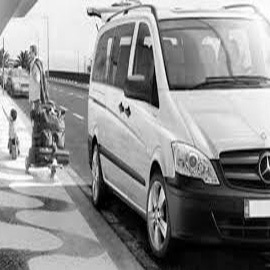 With more than fifteen years of experience providing taxi services in and around Belmont, we’re the first choice for families, tourists and professionals looking to get from A to B in the village. Why not get in touch with a member of the ClockTower Cars team today to book your next taxi? ClockTower Cars can help you see everything Belmont has to offer. We’re also available to hire for special events such as weddings and you can choose which vehicle best suits you and your party for the day. Our dedicated customer service team are always happy to answer any queries or concerns that you may have regarding all aspects of our service and are available 24/7. We offer financially appealing rates to you and your guests, no matter the time of day. A journey with ClockTower is one that will make you feel safe. All of our drivers are professionally trained, hold valid licenses and are DBS checked before joining our team. They also have up to date topographical knowledge of the area and are trained in Disability Awareness. For wheelchair users, we offer appropriate transportation and our fleet also includes vehicles that can transport up to 8 people at a time making us a perfect choice for large groups. Booking with us is now even easier with our free downloadable app for iOS and Android users. Using the app, you can book, choose a vehicle and even securely pay meaning that you don’t need to worry about this hassle when you reach your destination. 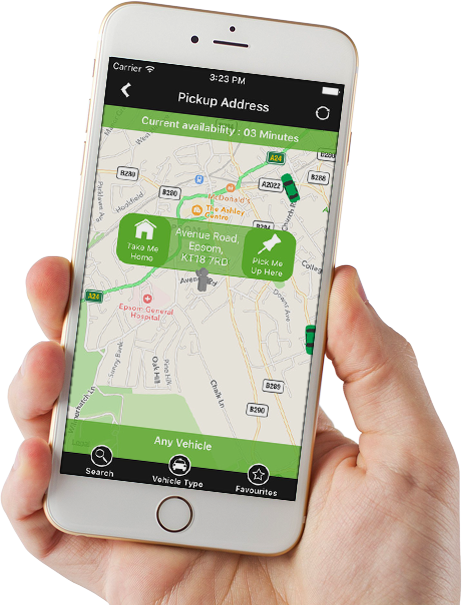 The app even allows you to track your driver’s progress so you know exactly when they’ll reach you. Book with us 24/7 via our free app, click here to book online or call us on 0208 643 2255. I’m amazed at the quality of cars, I would like to personally thank the team at ClockTower. My own business has really benefitted from using the professional chauffeuring services at ClockTower. Their standards when it comes to meeting and greeting my clients at the airport are first rate. My booking was so quick to do! I’m really happy with this company.